I read this article and found it very interesting, thought it might be something for you. The article is called Bihar & Punjab Could Be India’s New Dark States and is located at https://archive.indiaspend.com/sectors/bihar-could-be-indias-new-dark-state. Power cuts are a part of life in most parts of India. And yet they can surprise, as it happened when the country’s northern grid faced a severe power cut on July 29, 2012 and 7 states were crippled due to shortage. A few weeks later, IndiaSpend drew up a short report on the power dynamics across the country, and hazarded that southern India was probably the next in line to see large scale cuts because of rising demand-supply gaps. Last month it happened. The southern Indian state of Tamil Nadu, especially its western and southern districts, saw power cuts that lasted between 10-20 hours a day as supply failed to keep pace with high demand. The situation may stabilise as some fresh capacity comes in but it might take another three months. Tamil Nadu appears to be a case of a state which may have been better prepared. 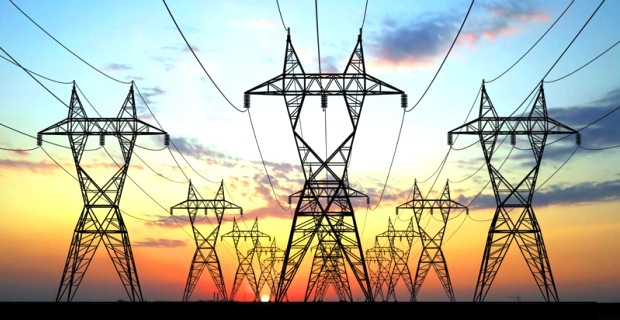 The Tamil Nadu Generation and Distribution Corporation (TANGEDCO) – set up in 1957 to run the power transmission and distribution in the state – had proposed new power generation capacity of 5,988 MW during the next five years. They included three thermal power projects scheduled for commissioning by April-June 2013 and eight hydro power projects of which four are scheduled to be operational by November 2013. 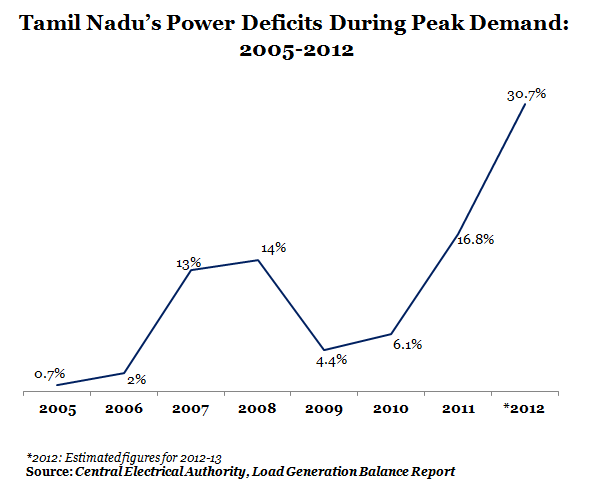 Evidently, the power deficit during peak zoomed again after 2010. And much faster than the previous peaks in 2007 and 2008. If the data is accurate, it would suggest that fresh capacity has been keeping pace, somewhat. Or demand has been slipping. More likely the former. That’s the quick story of Tamil Nadu. Many other states in India don’t come close in preparedness. Bihar and Punjab look like prime candidates. As do the North-Eastern states. On the other hand, states like Orissa and Himachal have surplus power, and the eastern zone is comparatively safer than other zones. Power consumption is also driven by industry and states like Maharashtra and Tamil Nadu have lots of it, at least compared to Himachal and Orissa. *All zones, barring western, saw an increase in demand from last year during the peak season. 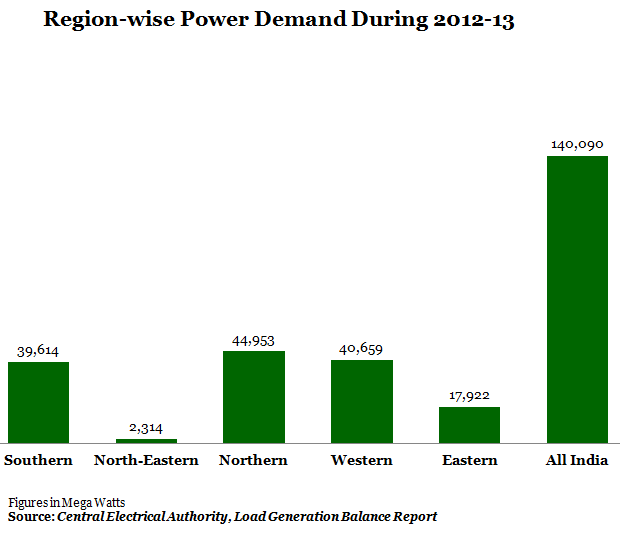 *Only eastern zone has surplus power after meeting demand. So, from the data available, it seems that North-East could probably be the next zone to face serious power outages. The shortfall is nearly 22% as against the national average of 10.6%. 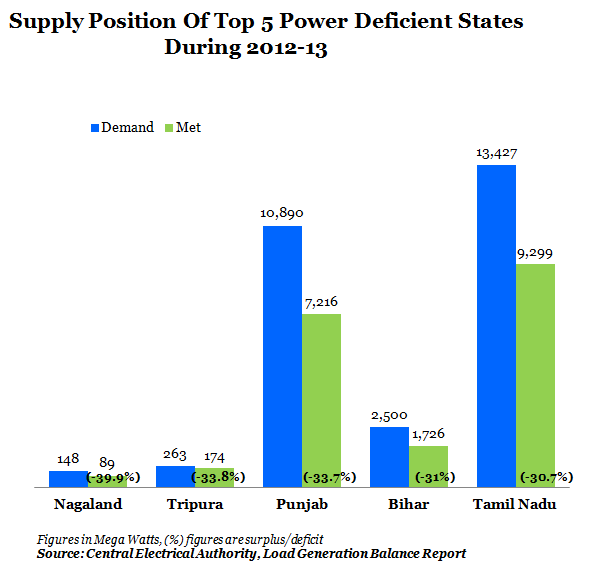 Figure 3 gives an idea of the anticipated supply position of the top 5 power deficient states during 2012-13. Bihar has surprisingly low consumption, a fourth of even a small state like Punjab. This suggests that were Bihar to expand economically, as is widely predicted and expected, than the dependence on power will skyrocket. Interestingly, there are 13 states that have a shortage of over 20%. So, it can be seen that two North-Eastern states – Nagaland and Tripura – are projected to have the highest shortages, proportionately, followed by Punjab and Bihar. Tamil Nadu, which is currently reeling under crisis, is also among the top 5 states. 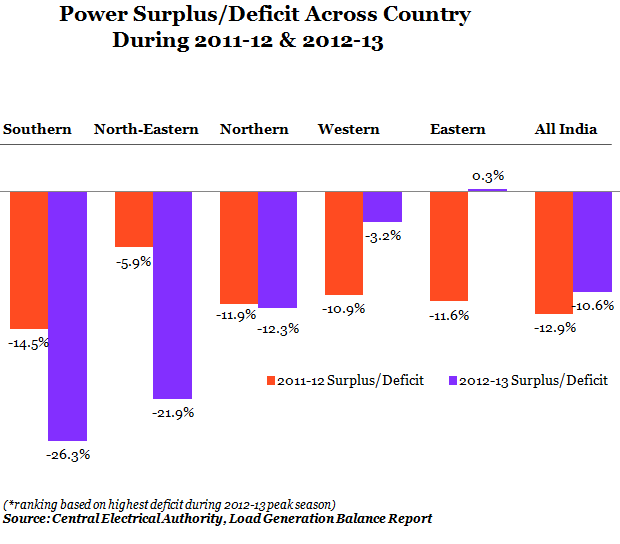 Only Himachal Pradesh (52%), Sikkim (34%) and Orissa (12%) have surplus power. The surprise here is Himachal with more surplus than Sikkim and Orissa since the state has been making big strides in development. The Government of India had set the goal of electrification of all households during the XIth Plan (2007-12), Incidentally, India has seen its deficit increase to 10.6% (from 9.8% in 2010-11), and 56% villages still do not have access to electricity. Estimates by consulting firm KPMG say India’s power consumption could double by 2020. Keeping this in mind, it is time states, for instance Bihar, ratchet up their investments in generation capacity. However, most states rely heavily on private investment. And that has been facing its own obstacles. If only the solutions were simple as cracking data sets.